Mother’s Day is just around the corner and with that comes a soft spot for love. 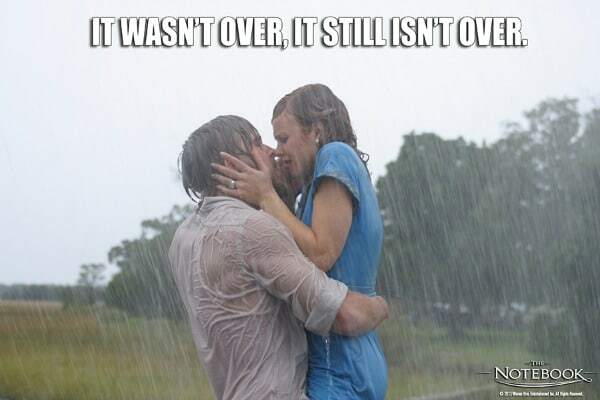 If you are looking for a movie to fall in love with, then The Notebook is the movie for you. Although it was originally released in 2004, Warner Bros has released an Ultimate Collector’s Edition (Blu-ray and DVD Combo). 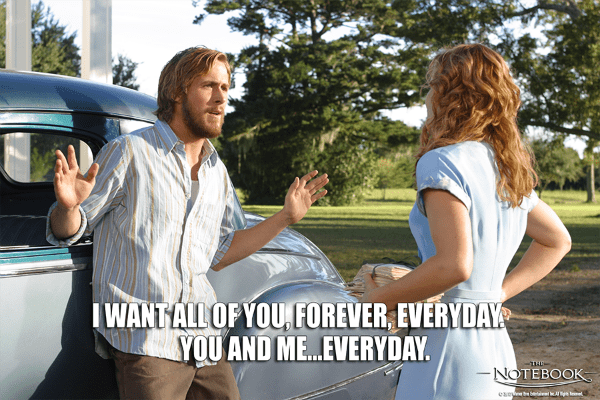 The Notebook is set in South Carolina, and spans generations of one couples love for each other. Originally written by Nicholas Sparks, it was turned into a movie years later. The story is a beautiful one, and one of my favorite love stories. It is a story of how love can survive despite all odds. How two people can lose each other, but always come back to each other in the end. The opening scene with it’s colours and serenity, set the tone for the rest of the movie. It is light and fun, carefree and timeless, heartbreaking and tragic, just like all great loves should be. Set in the 1940’s in the south, and carrying on into the present day, it is a feast for the eyes and the heart. The scenery, the music, the costumes all bring to life an era of wonder and beauty. You will laugh and cry, so make sure to have a tissue close by you. 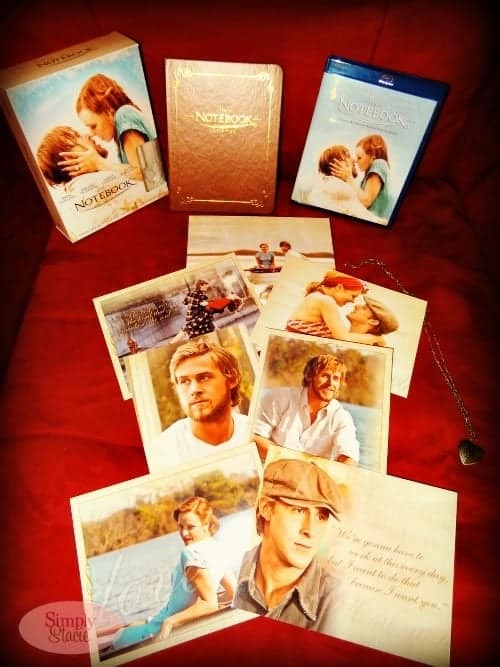 The Notebook Ultimate Collector’s Edition is also something you can find yourself falling in love with. It comes with the Blu-ray and DVD Combo, a small notebook that has a collection of pictures and quotes from the movie throughout, and six postcard type pictures, with quotes and movie stills on them. It also comes with a small heart shaped locket. The necklace itself is not of high quality, but could be a cute little trinket to pass onto a little girl in your life. Above all, if you are a romantic at heart, or know one, this is the perfect movie to watch or to give as a Mother’s day gift. Thoughtful and sweet , all wrapped up in a neat little bundle. Love Your Lentils Recipe Contest + #LoveLentils Twitter Party! I don’t usually watch “romantic” movies but you know, this review makes me want to watch this one. Thanks! This review makes me want to watch this movie! I know my daughter has this DVD…I’ll have to borrow it from her next time I visit her. Borrowed my daughter’s copy. Really love this movie! Wonderful story, and now I also know why everyone loves Ryan Gosling!